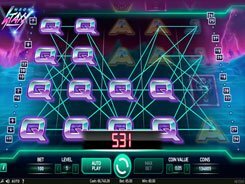 Lit with neon lights all over and featuring an intentionally simplified design as a nod to classic slot machines, Neon Staxx is a NetEnt’s video slot played over 5 reels, 4 rows and 20 fixed bet lines. The symbols are playing card values from Jack to Ace, ‘Predator’ symbols (snake, eagle, panther and lion), and two feature symbols. Before any spin you can configure a bet that starts from $0.2 and is capped at $100. The slot has a wild symbol that helps form winning combos by replacing a missing symbol. Hitting five wilds across a payline awards the grand prize of $1000. A scatter symbol triggers 10, 15 or 20 free games if 3+ appear in view. 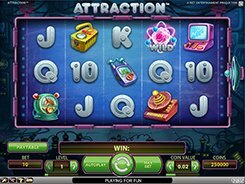 Besides, the slot is equipped with a unique Super Staxx feature that is activated randomly in a base game and free spins. 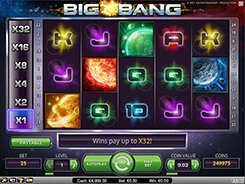 The slot randomly selects a regular symbol and makes it appear stacked on three adjacent reels, so you get 12+ reel positions covered by a matching symbol which boosts your chances to create an array of highly profitable combinations with one spin.